by wangdu on November 20, 2017 in Events, News. 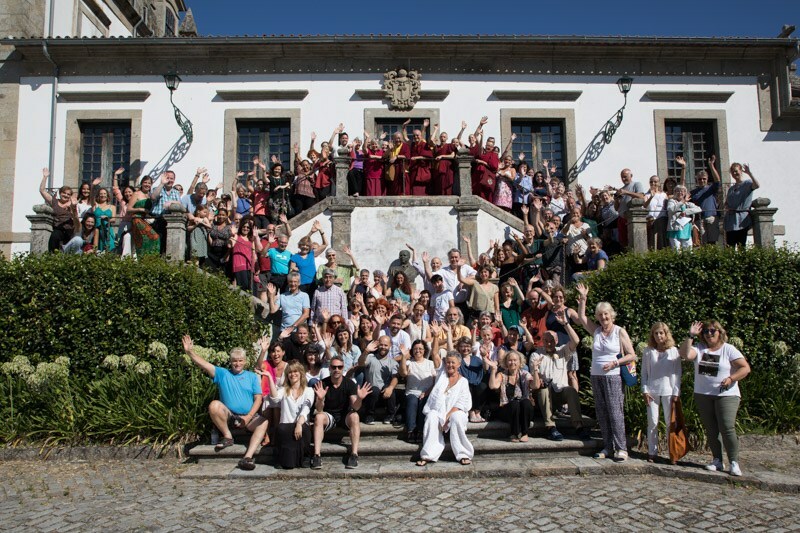 The 2018 Bodhicharya Summer Camp will again be held in Portugal. The chosen place is a Christian retreat house, in the North of Portugal. The facilities are excellent, with single and double rooms with twin beds. Vegetables and fruit are grown by the community itself and taste absolutely delicious. There is a river, at a short walking distance away, where one can swim or just refresh oneself. There is a fluvial beach and a small terrace, perfect to sit, relax and enjoy a drink. Participants may also relax and enjoy the activities available around the centre. The teaching subject for the summer camp is yet to be confirmed. Please refer to the Summer Camp webpage for more updates.